Truly bearish or is the play a fake? Bulls & Bears - Decision Time Upon Us? Bitcoin Bulls On Parade Or The Great Deception? BTC Still To Dump More? Long-Term EW At Play? XRP Following Elliott Wave Pattern. Upside Bullish Remains. 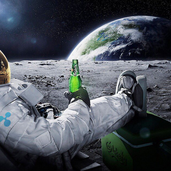 XRP Looks To Repeat History - To The Moon?